Please click here to learn about our Tricentenary Appeal to raise funds so that our 18th century church of St Helen can meet the 21st century needs of our parishioners. This church 'on the hill' has been here since 1717. It replaced the 'old church' down on St Helens Duver which was washed away by storms after the river changed course and land was claimed by the sea. The bricked up tower remains and has been used as a sea mark for centuries. Mostly rebuilt in the 1800s, the building still retains some interesting old gravestones set into the floor, some fascinating memorials and hatchments and the George I coat of arms. At the far end of the extensive churchyard there is a grass path Labyrinth watched over by a solitary oak tree - a wonderful aid to prayer, reflection, or just 'slowing down'. St Helen's Eco Church | St Helen's on Google Maps | Tricentenary Celebrations. Originally part of the parish of St Helens work began on constructing St Peter's in 1859 and it became the parish church for Seaview in 1907. Much extended over the years the church now seats in excess of 200 with a side aisle and lady chapel built as a memorial to the men from Seaview who lost their lives in the First World War. The wide chancel arch is fitted with an attractive wrought iron screen. 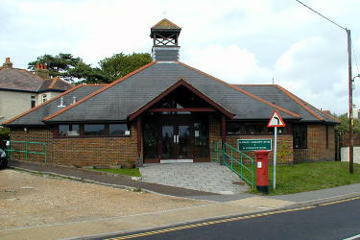 A small chapel attached to St Helens Community Centre, built in 1992 to replace the by then dangerously dilapidated Mission Church and Institute Hall. Currently used for midweek services, once a month for a Sunday evening service and for special services around Christmas and Easter. A delightful, simple octagonally shaped room retaining some furnishings from the Mission Church. Available to be used for quiet prayer throughout daylight hours. 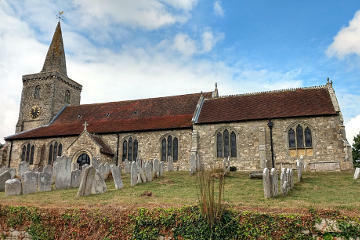 The nave of the church of St Mary the Virgin, Brading dates from the late 12th century. The north and south aisles, the chancel and the tower were added in the 13th century. The north and south chapels and the south porch are 15th century. In 1865 the chancel was lengthened to the east when the church was restored by the Oglander family. The tower is one of only four of its kind in England, being open on three sides at ground level from where wooden steps lead up to the bell chamber which has a fine ring of eight bells. 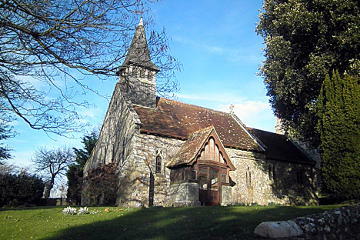 Originally built as a chapel for the Manor, the Church of St John the Baptist, Yaverland dates from around 1150. Within the south entrance porch is the original Norman doorway and the chancel arch has an intricate chevron moulding. In the 15th century the church was remodelled and square mullioned windows were installed in the chancel. 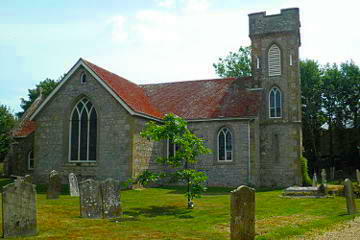 From the reign of Henry VIII until 1945 it was a garrison church for troops stationed in the local forts. 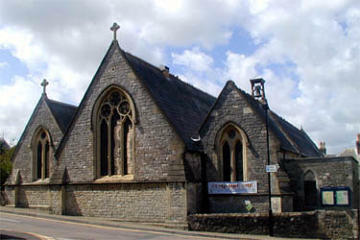 In 1888 a north aisle was added and the church was extensively restored.